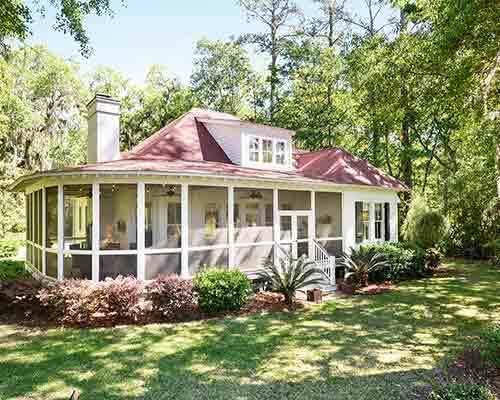 Located on a beautiful lot with marsh views & sunsets from the patio. This single level has 3 bedrooms, 3 attached baths, a large kitchen with breakfast area & family room. A formal dining room & large living room with fireplace. High ceilings throughout with plenty of light from large windows in the living room, family room & master bedroom overlooking the marsh. 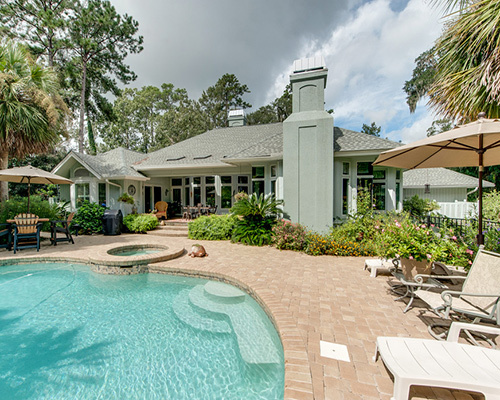 Amenities include Clubhouse, River Club, brand new Fitness Center, 2 pools, 27 holes of golf & 6 tennis courts. There are also community & private docks for your use. 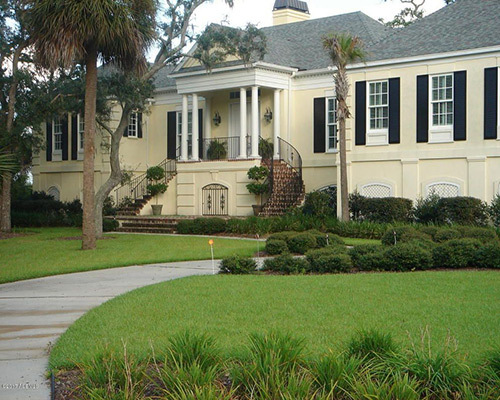 Callawassie Island presents a sophisticated, yet relaxed, Lowcountry haven nestled between Beaufort and Bluffton, SC. 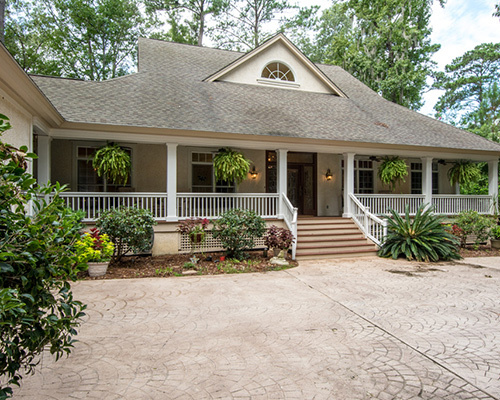 Enjoy this private .87 acre sanctuary on the enormous screened porch with a beautiful golf and water view. This functional floor plan allows for one-story living but, also offers an expanded second floor for guests featuring 2 bedrooms, bunk room, and game area. Not to be overlooked is the bonus room and bath over the 3-car garage. Crown molding throughout, hardwood staircase, fireplace and built-ins top off this custom built home. Live the Dream...365 days a year! Beautiful marsh views from almost every room in this island home. Extremely well maintained with great split floor plan for entertaining. Nicely manicured grounds. New roof 2017, gourmet kitchen with dumbwaiter, large master bath, high ceilings, decorative columns, four season sunroom overlooking marsh, 2 car + golf cart garage. Large deck overlooking marsh for entertaining. Big Price reduction due to Owners health. Considering ALL offers. Lovely 3BR/2.5BA home. Entering through the foyer you step into the Great Room with granite surround gas fireplace & French doors leading to back screened porch from the Great Room, Dining Room & Master Bedroom. Master suite on first floor with huge walk-in closet, bath with Jacuzzi tub & his & hers granite top vanities. Gourmet kitchen with Jenn Air gas/stainless appliances, built-in island & spacious pantry/laundry room. Brazilian Walnut hand finished hardwood floors throughout first floor. Stairs & second floor two bedrooms feature custom designer wall to wall carpet. Jack & Jill double vanity bathroom. 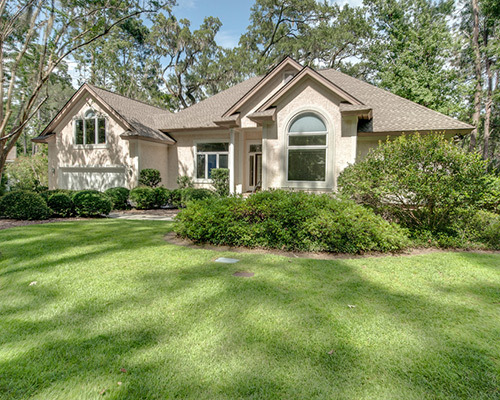 Both bedrooms exit to second floor tree top deck overlooking your live oak tree & private lagoon. Walk into this open and bright, Certified Wildlife Habitat home offering incredible views of area wildlife. Great room, Carolina room, kitchen, and the Master Suite all provide spectacular views. 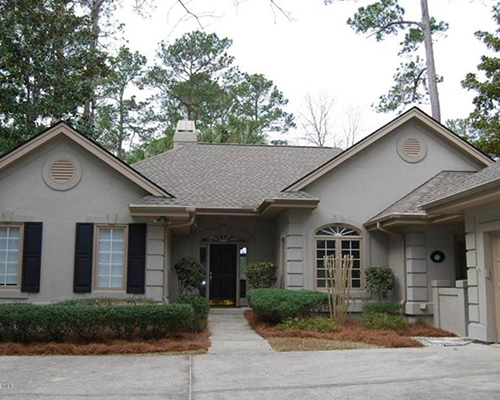 3BR/3BA house w/bonus room & private bath that could easily be converted into a 4th bedroom. Much of the interior is freshly painted. New roof, new range, new washer/dryer, and a GeoSpring Hybrid hot water heater was installed in 2015. Tabby exterior provides minimum maintenance. Built by Steve Tilton, designed to be energy efficient. Many customized features in this immaculately maintained home. 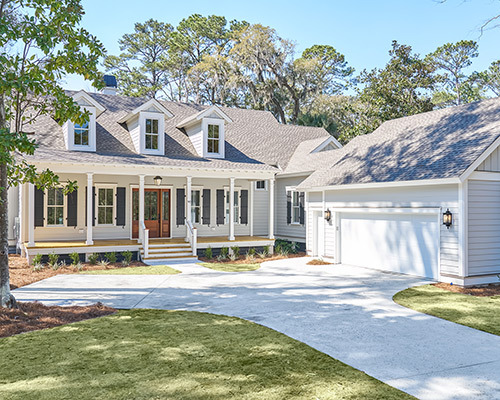 Classic Southern Living Cottage, quality design and construction with a Spring Island influence. 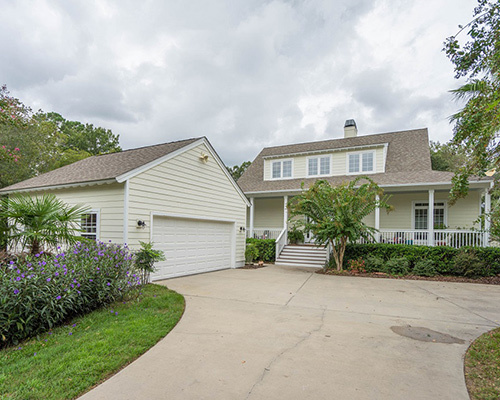 Starting with a welcoming rocking chair porch, this home is sited perfectly on a private acre. Expansive golf course views enjoyed from curved, wraparound rear screened porch. An open chef's kitchen is the heart of this 3 bdrm, 2.5 bath cottage. High ceilings, wide plank hardwood floors throughout, an abundance of large windows, featuring a Savannah brick fireplace. The private office/den, first floor master suite, & two second floor guest rooms w/spacious guest bath complete this Southern Living charmer! Beautifully sited on over half acre, this open floor plan has a main level Master Suite, updated Kitchen and Family Room with a wall of windows offering sweeping views of the golf course and the peacefulness of hardscape designed outdoor living. 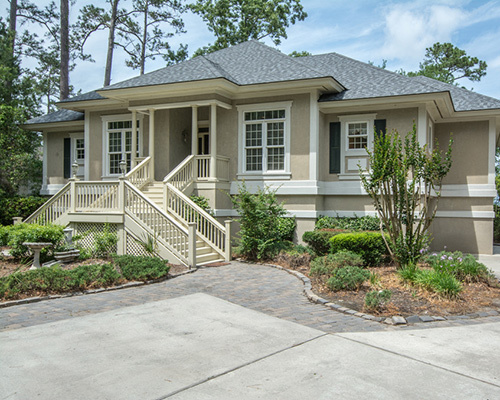 A haven of Lowcountry charm and gracious living! 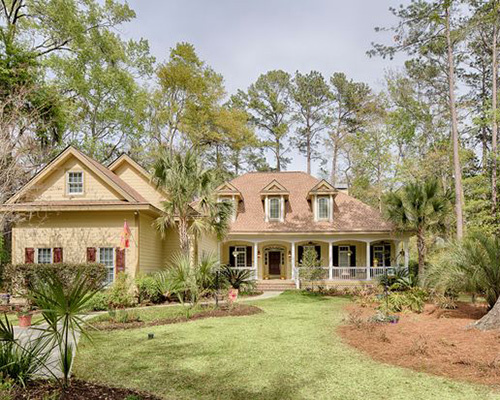 Gorgeous marsh home, custom built by Steve Tilton, overlooking the Colleton River tidal creek-estuary. Desirable hard coat Coquina Shell Tabby exterior is low maintenance. The neutral, open floor plan gives you peaceful expansive marsh views from the Breakfast Nook, Great Room, Carolina Room & Master Suite. Lots of renovations and improvements including the Kitchen and Master Bathroom. Light filled Bonus Room with en suite bath. Outdoor improvements: new driveway, improved drains and gutters. ! With almost 1 acre of easy care, be as private as you like or become involved in the Callawassie Island Community: it’s your choice. The island is 880 acres and centrally located between Beaufort and Bluffton. You will fall in love with this property. Water abounds with this lagoon and golf view home. Gourmet kitchen with professional grade appliances. An outdoor entertaining area w/pool complete this home’s ambiance. 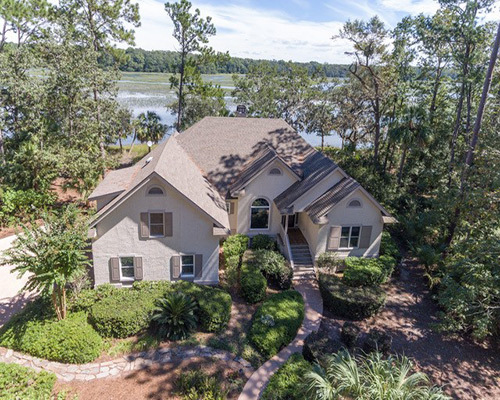 The essence of Low Country living with elevated marsh and deep water views from every room overlooking the tidal Colleton River Estuary. This stately Southern style architectural home has an incredible sense of arrival. Located on over 1 acre at the very end of the cul-de-sac. An approved dock permit provides a unique value option for the Buyer. Elegant but casual floor plan. Master Bedroom suite at opposite end of home creates ultimate guest privacy. A convenient elevator to the main living area from lower level. Extraordinary details and countless upgrades throughout. Immediate occupancy. While the natural flow of the Marsh Wren's first floor plan is evident the moment you arrive at the foyer, it is the second floor balcony that is its most distinctive and impressive feature. Enjoy extended lake or garden views from this space and entertain in the adjacent media room, or meander back downstairs to join guests in the formal dining room, so rarely found in modern plans. The expansive kitchen space also contains a view-oriented breakfast nook. At approximately 2800 SF, the Marsh Wren is the ideal plan for those who want to downsize without sacrificing space to entertain friends or host family.